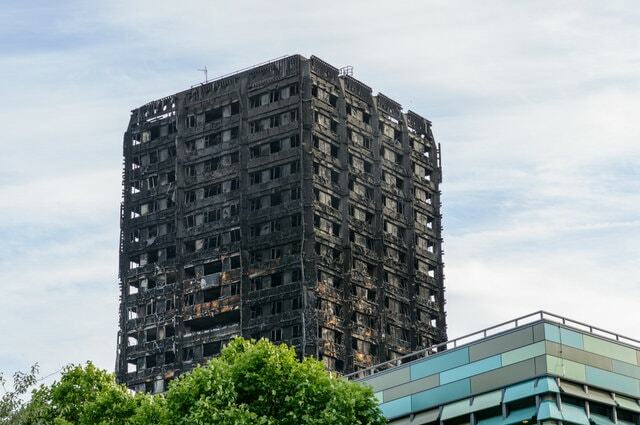 Grenfell Tower, one day after the fire. Image by C. Hoyer (via Shutterstock). Firstly we would like to pass on our condolences to everyone who was affected by the fire at Grenfell Tower. In our lifetime, we have never seen anything as bad as this in Greater London. Also in what has been a terrible month with recent events at Finsbury Park. Appalling barely covers the last fortnight alone. With recent concerns over the cladding used, several flats with similar cladding have been tested for their inflammability. Of the samples, all of which were substandard; those used the cheaper flammable variety. The plight of Grenfell Tower’s residents touched Safeguard Electrical Engineering enough to make a donation. The St. Neots based electrical contractors have agreed to donate 10% of their earnings from fire safety checks to the charity fund. Matthew Evans said in The Hunts Post: “As electricians, we feel it is our responsibility to make sure as many people as possible are aware of the warning signs of faulty electrics. “We’ve put together a paper on fire safety. It’s something simple we thought we could do to help prevent a disaster in the future. This way we can help educate people, encourage more homes and businesses to carry out fire safety tests and help raise money for the victims of the Grenfell Tower disaster. Safeguard Electrical Engineering have established themselves in the St. Neots and Huntingdon areas. They work with a variety of public and private sector clients, including Cambridgeshire County Council. We think their charitable gesture for the Grenfell Tower residents is highly commendable. Bright Sparx London, 30 June 2017.